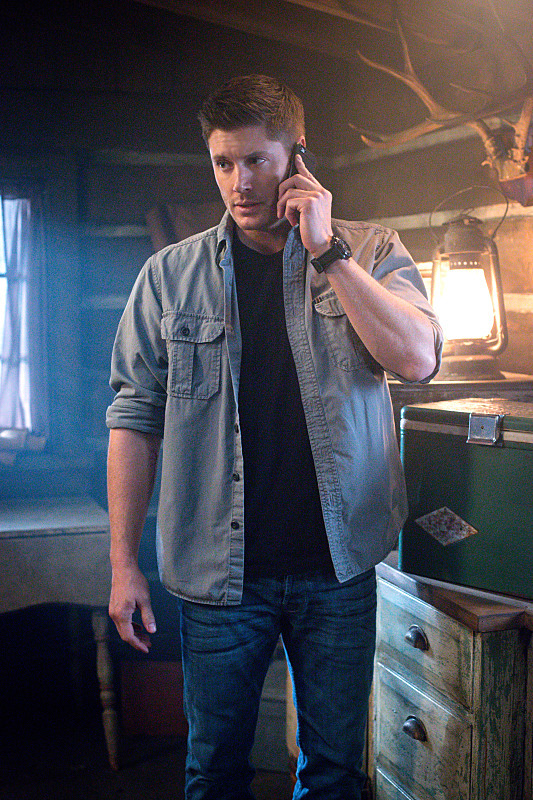 IMAGES: Supernatural 10x15 "The Things They Carried"
Find our gallery following these official log lines from the episode below. COLE PAYS A VISIT TO THE WINCHESTERS — Despite Dean’s (Jensen Ackles) directive to forget about looking for a cure for the Mark of Cain, Sam (Jared Padalecki) continues to do research. Dean suspects Sam is hiding something but decides to focus on a new murder case where they run into Cole (guest star Travis Aaron Wade). The three team up and learn a Khan worm is infecting men and turning them into murderers. Unfortunately, the worm makes it’s way into Cole. Supernatural -- "The Things They Carried"